It’s been over 5 months since the last update. One of my new favorite words is skindawg – used to describe only the best of mullets… often found in the woods near the Tennessee / Kentucky border. 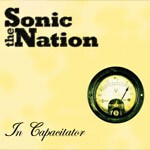 The Electrosonics have reformed under the a new name, The Sonic Nation. We recorded an album and a live show on March 30th, 2007 in Reno at The Green Room. Our first record under the new name is available on August 9th. It is already available for download though – click the cd cover below to download the CD. The Jimdangles, also on SNP Records, are releasing a self-titled CD as well. You can download this album by clicking the cd cover. Laura is putting out an EP soon with Artwork by Cherie Langford. The album is produced by Andy Elis, known for killin the baritone guitar in Nashville, and for much much more. Cody is headin’ to CalArts in the fall and I am one of the players lucky enough to get a call to work with these guys while he is at school. I’ll have the schedule for this on my myspace page. If you can, be sure to check us out at The Pirate Festival in Portland Oregon! Time for an update? I mean really, does anyone even reads this… ? Let’s see. I’m writing this from the back of a van (not by the river) while on a short road-trip with Captain Midnight Band. We are on our way back to Nashville TN from playing 4 dates around the south. We rocked the hell out of “The Two Stick” in Oxford MS, “Martins” in Jackson MS, “Chelsea’s” in Baton Rouge LA, and “The Maple Leaf ” in New Orleans LA. I am very much in love with NOLA after this trip – even with half of the city still showing huge battle wounds from the Katrina disaster. Oh yeah, I met some tight peeps too… somehow I managed to find myself wandering around the streets of New Orleans at about 8:00 in the morning…. lucky for me, I stumbled back on the van and was able to crash out in a chair for a few hours before getting in the car… oh yeah, I’ll post photos as soon as my camera get’s mailed back to me… hahahaha. Additionally, I am getting a southern style nickname… people have started to call me toothpick (because I often have a toothpick hanging from my grill….). Just a warning…. A recount from the last few months: November was a mild month. I did a couple odd gigs, found a studio space to rent. December brought me back to Tahoe again for gigs over the holidays. The Reno music scene welcomed the reunion of several musicians that had left. Medulla Oblongata Ensemble, Operation Panda, and The Electrosonics all performed. The Electrosonics killed it at the Green Room on New Years Eve to several hundred people. I’ll have videos up from this trip shortly. Plans for the future: get my recording setup going strong, start making some money by recording demo’s for people, do some quick road trips with the Worsties, get some more electrosonics action going… etc. The roommates are cool. The city is full of interesting people. I’ve seen live music, met a few new friends. I went to a book-burning that was actually very funny. Now I just need to find a band to play music with. So far I found one Jam session for jazz. Not too many jam sessions though in general, as most people here are just the singer songwriter types. Got up today at around 7am. Cein had to head to work, and I had a crap load of driving to pull off. For the most part, today I just drove. 533 miles. I finally listened to the Beatles’ White Album. It was good, but had nowhere near the effect that Abby Road had on me. Not even close. (For those of you who don’t know, my first experience with Abby Road left me bawling like a baby when it was through). I stopped in Fort Collins in search of the New Belgium Brewery, and left with a new pair of Converse. Tonight, I was stoked to experience my first shower since leaving Reno (no time at the hotel in Wendover, and Cein didn’t have one at the studio! ).